ANALYSIS BY THE Irish Patients Association (IPA) shows that the average number of public patients for Irish GPs nationally is 861. However, it found that there is a wide range in the ratio of patients to general practitioners – with some doctors having as many as 1,218 public patients. Of the 2,503 GPs across the country, the IPA found the lowest number of public patients per GP is in the affluent areas of Dublin and Cork. 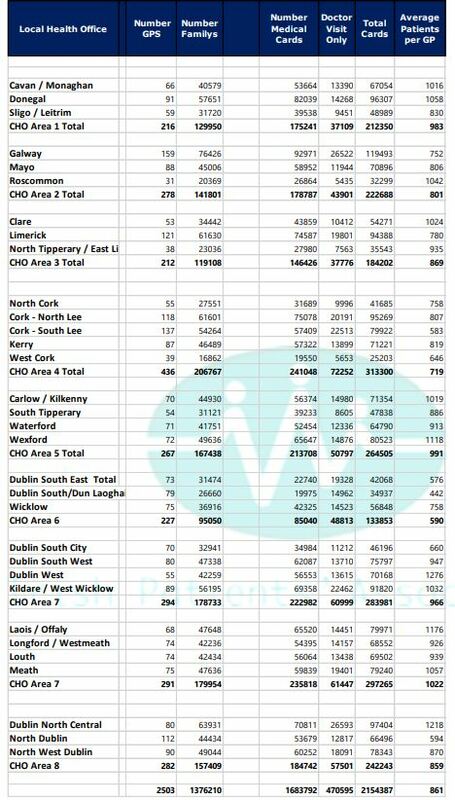 Dublin South/Dun Laoghaire had the lowest ratio with 442 people per GP, followed by Dublin South East at 576 and Cork South Lee at 583. This was a huge contrast compared to areas such as Dublin North Central, the highest in the country, with an average list size of 1,218 people per GP. Laois/Offaly was next in line with 1,176 people per GP. For a larger image of the table, click here. Stephen McMahon Director of the IPA said, “This is the first in a series of analytical pieces on primary care, as the State begins the process on one of its largest contracts that it will sign on behalf of its citizens. Amounting to €6-8 billion over a ten-year period, we must be confident that it will deliver timely, high quality, value for money health outcomes. In advance of a new GP contract we need to understand the variation of workload and costs across the country. 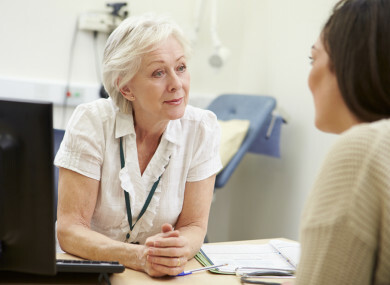 The IPA said 1,310 new GPs will be required to keep pace with the expected rise in consultations based on the legacy structures and services. The current level of GP trainee places per annum is 187 however the government does plan to increase the number of trainee GPs by 100 per year. The review stated that, “Given that 31% of GPs intend to retire or leave the profession in the next five years, it is the IPAs understanding that the HSE are confident that these vacancies arising from retirement’s will be filled. Email “Breakdown: Average number of public patients per GPs across the country ”. Feedback on “Breakdown: Average number of public patients per GPs across the country ”.